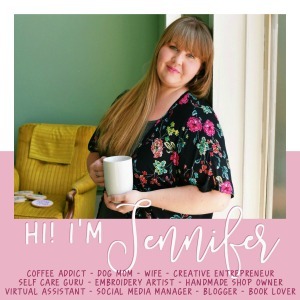 ​Hi Busy Being Jennifer readers! It’s me again, Megan from All That Glitters! It’s spring again in Texas! Finally! I’ve been pinning away tons of different spring trends and such for months now and I can finally put them to good use! I love when the seasons change and I can go around the internet and look at my favorite bloggers and websites to get trend inspiration for the upcoming season! My favorite though, is when my favorite trends come back around for another year! I don’t know what I will ever do if chambray shirts go out of style! I guess I’ll just have to be out of style if that happens;-) Haha! Well, this year some of my favorite trends from spring/summer 2014 are back and hotter than ever! Kimonos are actually bigger than they were last year if you can believe that! Those pom poms we saw popping up all over shorts and handbags are coming back as well:) Thankfully I bought a cute pair last year and plan to make myself a pair or two with my sewing machine this year! ​Fedoras look good on everyone, if you ask me. I think this is a trend we can expect to keep seeing each and every year for a while. I am on the fence about certain high waisted shorts- specifically denim ones- but the ones I found up there and some cotton ones I have found at Target are so cute on! Kimonos and rompers are my faves. Except I do have to say, peeing in a fringe kimono is a little difficult. Love all the florals and this BEAUTIFUL TEXAS WEATHER!